Shanghai Wingsung Co., Ltd. is founded in 1948. 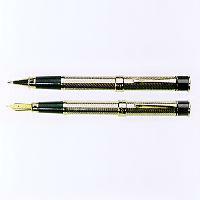 It has the largest production and sales volume in pen-making industry in China. The company produces more than 140 varieties, with two brands-Wingsung, lucky, and including gold pen, iridium pen, marker pen, roller and ball pen, which ranks first in domestic pen making industry.